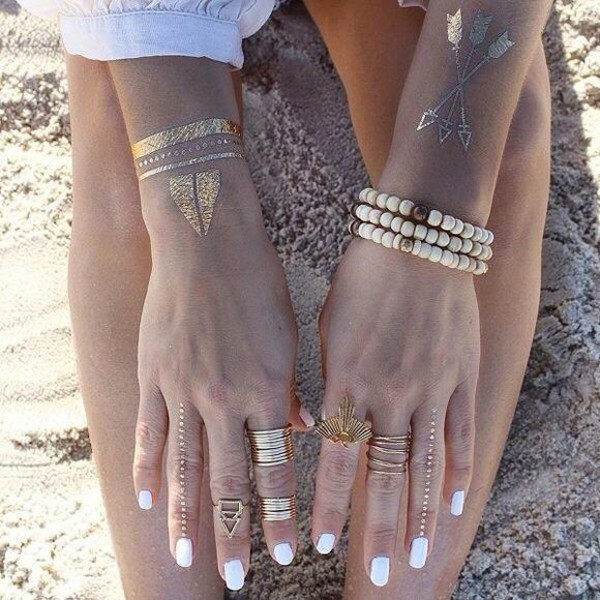 You may have heard about the new trend for beach fashion this summer: Flash Tattoos. 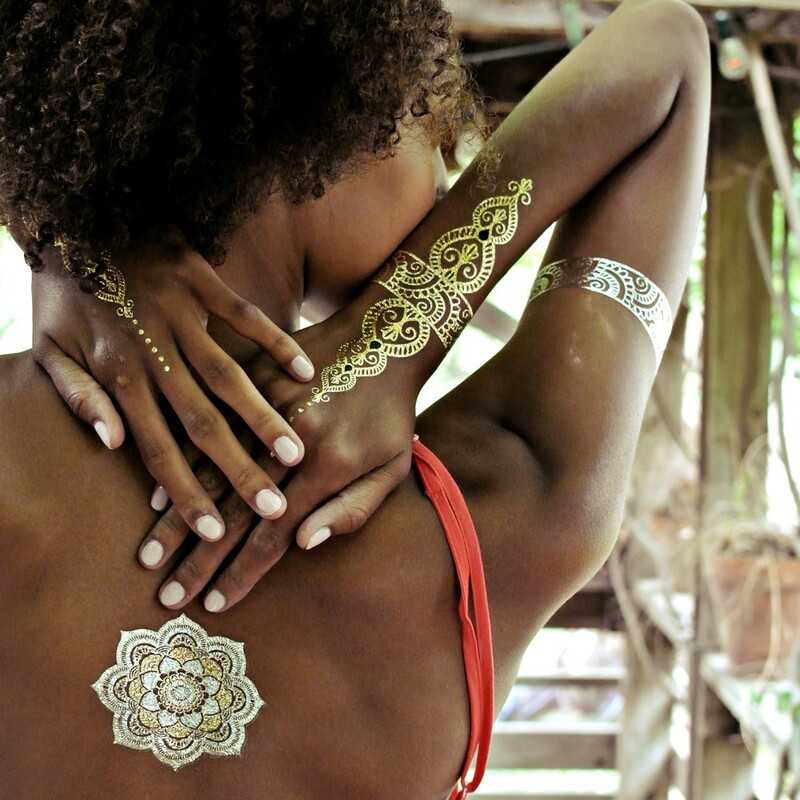 These temporary tattoos are metallic, in silver, gold, and black. Depending on your skin care regime, they will last for one to two weeks. And they are the perfect answer to those of us who want to maintain our glamour while sunbathing, without the possibility of damaging or losing our jewels. Or pair them with a sundress or chic evening ensemble for just the right summer shimmer. Kiss N Makeup in Hampden (https://www.facebook.com/pages/Kiss-N-Make-Up/73730544517) was the first place to carry Flash Tattoos in Baltimore last year. Now you can find them at Cloud 9 locations (http://www.cloud9clothing.us/) and South Moon Under in Harbor East. Or go straight to the source: http://www.flashtat.com/. Don’t let the sun be the shiniest thing on the beach this year! This entry was posted in Uncategorized on May 9, 2015 by Life In Stilettos.